The Jungle Book: The Movie DVD from kaboom! Entertainment is coming to Wal-Mart stores on March 5th, 2013! It is based on Rudyard Kipling's timeless classic of the same name. The film is gorgeous in CGI-animation, with characters that your children will love to watch. 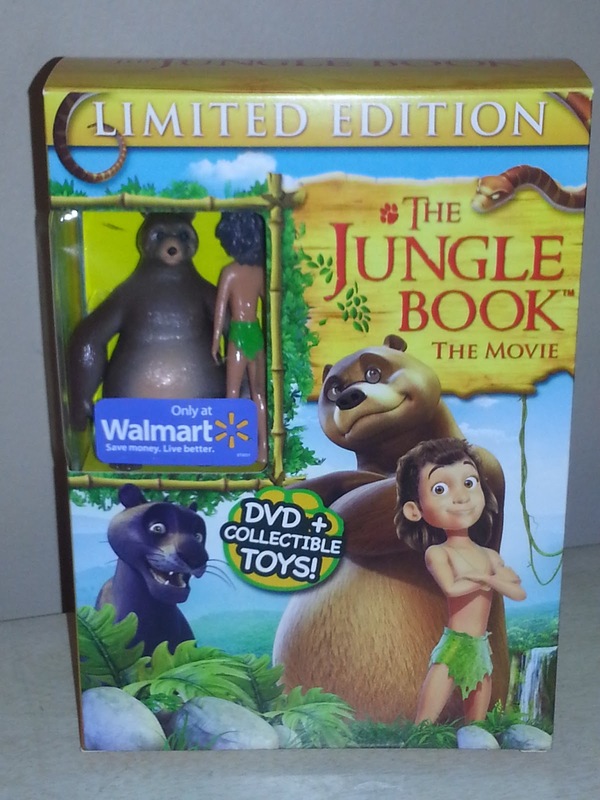 The DVD includes a special downloadable activity kit, and check out the limited edition collectable figures of Mowgli the boy, and Baloo the bear. My kids had fun holding the little figurines during the film screening! My children, aged 2- to 7-years old watched The Jungle Book: The Movie, and all enjoyed it without being restless. My oldest child related to Mowgli the jungle boy who wanted to be wild and free, whereas my youngest child loved Baloo--and he would not let go of toy that came with the DVD. I followed along too and was impressed with the CGI-animation, voice acting, and the portrayal of all characters. I found Bengal Tiger Shere Khan to be menacing, without completely scaring the children. I would definitely recommend this title if you would like a title that would be appropriate for family movie hour! Of interest, the television version of The Jungle Book launched on Disney XD and currently airs in Canada on TVO and Tele-Quebec. Take a peek of what you can expect from the movie, below. WIN The Jungle Book: The Movie on DVD! Yes, it comes with the Mowgli and Baloo figures! 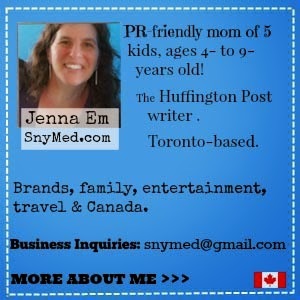 Open to Canada, runs until Friday March 22nd, 2013. Leave a COMMENT below stating what is your, or your child's favourite jungle animal. Then, be sure to use the entry form below, so I can can contact you if you're the WINNER. GOOD LUCK! My granddaughter's favorite jungle animal is the lion! She hasn't seen Jungle Book yet but would just love it! My son loves monkey's. I have the Jungle Book on VHS,,, time to upgrade. my daughter loves the jungle book!!! My son favorite jungle animal is a tiger and my daughter's is a monkey. My daughter loves monkey - she has a few stuffed monkeys and one that makes the sound. Favourite jungle animal....is an exotic bird. My daughter would pick monkey's as her faveourite. Awww Baloo!! He's so cute! My son loves any kind of jungle bird! My son would LOVE this movie. This movie was my all time favourite as a child! My son loves the monkey! We love the Bear for my son Alexander, the Monkey for Max and the Elephant for Artemis. Gorillas win out by far. My little guy loves monkeys too!